Here’s the first post on my bikes. I suppose it makes sense to give a little back story, so to kick it off here’s most of the bikes I can remember owning that I don’t have anymore. I’m also mentioning where I owned them. Raleigh Chipper (UK) (like a Chopper but without the small front wheel and the 3-speed shifter on the top tube). This is the bike I learned to ride on. My friend’s dad painted it yellow and put some cool stickers on it. Piranha BMX (UK) – crap, the less said about this, the better. OK, one thing. Magnesium wheels! Mongoose Supergoose frame with yellow (what was with all the yellow?) Skyways and all gold anodized parts (Dia Compe MX brakes) (US and UK). Went through various parts specs, mostly based upon what else I could find that was gold to put on it. Wish I still had this. Raleigh Quasar road bike (UK). Reynolds 501 ‘aero’ frame, ‘aero’ water bottle, weird concave Weinmann rims and my first roadie. First bike I would actually go on rides to other towns on. Getting misty eyed thinking about riding the Yorkshire Dales on this thing with nothing but a bottle of water and a cheese and branston pickle sandwich. Specialized Hardrock Comp (US and UK). Pink and white frame. Suntour groupset with their answer to Shimano Biopace. I believe it was called Ovaltech. First mountain bike. Specialized Stumpjumper Team with Suntour XC Pro (UK). ’91 or ’92 model. Superb bike. Japanese built triple-butted Tange Prestige frame. Purple pearl over black. Rode this bike on trails all over the UK. It also travelled to Greece. Only bike I’ve ever had stolen. Wish I still had this. Specialized Rockhopper Comp (UK). Maybe ’96 or ’97. Beautiful powder blue frame, Shimano SIS and a Rockshox elastomer fork. First Alu frame. Decent bike. Sold to my friend. Put a lot of miles on this in London. Did my first century on it. Had my worst crash ever on it. Wear a lid kids! Seriously, wear a lid. Some sort of fancy Avid brake levers with Ti in the name and not much Ti in the parts. That pretty much brings me up to my current stable, which is interesting (if only to me), because, I’d never owned more than one bike until after this point. I’ll update this post as soon as I can dig up some pictures of some of these bikes. Stay tuned. 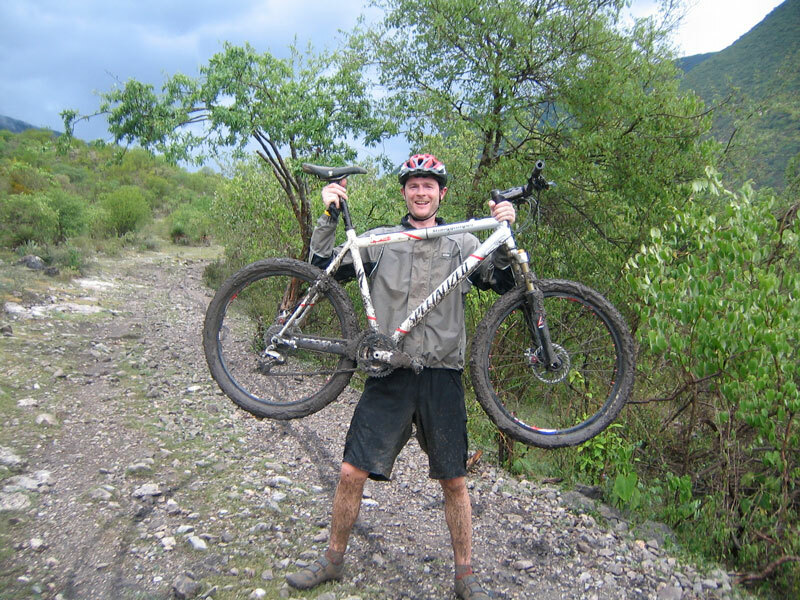 This entry was posted in Bikes, People, Products, Tech, Trips on June 15, 2013 by Matt.